Football fans, when it comes to snacking, we’ve got you covered. Let the Hamilton Beach® Stay or Go® 6 Quart Portable Slow Cooker help you get ready for game night. 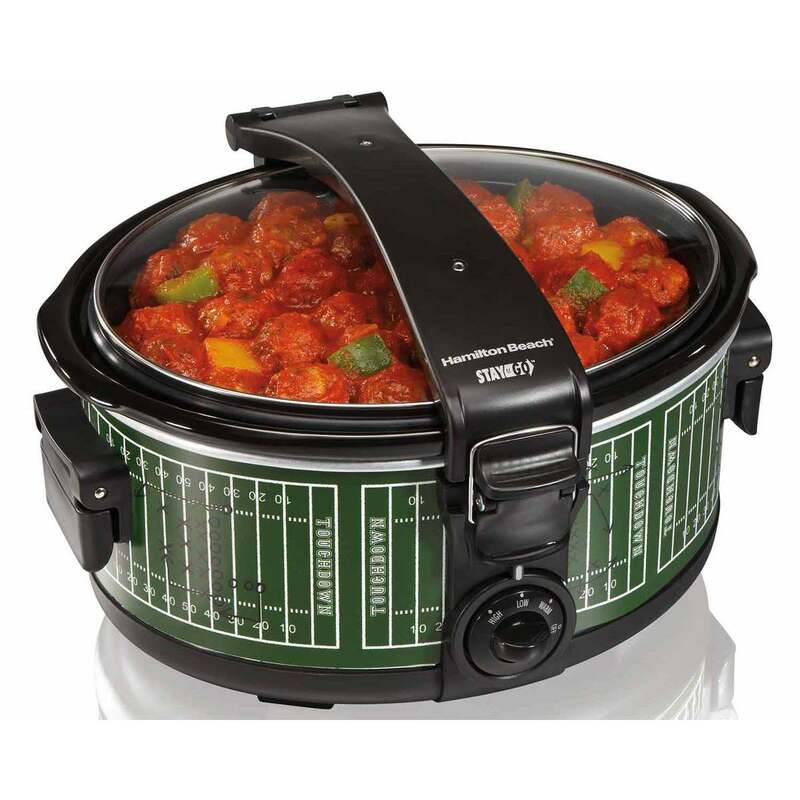 With its festive football motif, it’s perfect for chili, dips, wings, meatballs and all your party favorites. Whether you’re hosting the game or heading to a friend’s house, this slow cooker is designed to fit right in. Its 6 quart capacity makes it ideal for sharing hot foods at tailgates or gatherings. You can let your meal cook during the day on low or high, then switch to warm when the cook cycle is complete. When it’s time to eat, the hinged lid stays up for easy serving. No need to worry about spills, the Hamilton Beach® Stay or Go® 6 Quart Portable Slow Cooker comes with a clip-tight sealed lid. This single clip quickly seals the lid to the base to reduce messy spills during transport. Folding handles are designed to snap up for carrying and fold down for easy storage. Often it is hard enough to find a spot for your slow cooker on a crowded buffet table. Even worse is trying to get something out of the slow cooker while balancing the lid and your plate at the same time. We’ve eliminated this problem by designing our lid to hinge back while serving. This frees up your hands and space on the table. Single clip quickly seals the lid securely onto base to reduce messy spills. Folding handles snap up for carrying and fold down for storage. The detachable lid and removable stoneware is dishwasher safe. Main courses, soups, and one-pot meals are not the only things slow cookers are great for preparing. They are also perfect for making side dishes and desserts, especially when your main oven is full. Make everything from bread pudding to caramel apples in this versatile appliance. 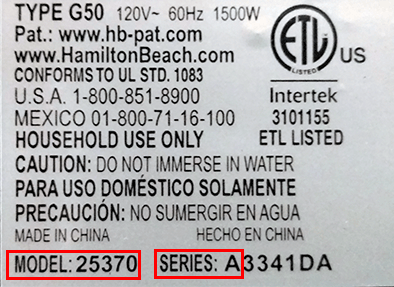 The Hamilton Beach® Stay or Go® line was created to fit your lifestyle. Ideal for household use, but versatile enough to travel, this slow cooker is the epitome of handy. No need to find a box to catch splashes while transporting your cooker, simply seal the lid with a single clip and it’s ready to go.